Rajasthan Is Most Popular Tourist'S Destinations Among The Visitor. It Is A Land Of Glorious Sand Dunes, Magnificent Forts And Palaces, And An Ancient Culture. Forts, Palaces And Strongholds That Speak Of The Rich History Of The Rajput. So Acquire This Tour Package With Collaboration Holidays At Reasonable Priced. This Tour Package Is For 10 Days And Covers Many Destinations Like: Delhi, Neemrana, Jaipur, Bikaner, Jaisalmer, Khimsar And Pushkar. You will be arriving at Delhi, the capital of India, a seat of successive dynasties and empires is now a sprawling metropolis with a fascinating blend of the past and the present. Our company representatives will receive you on arrival at the international airport in Delhi. 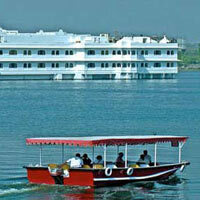 You will be guided to your hotel , We will visit Red Fort , India gate and evening is leisure to free .overnight stay. After breakfast at Hotel Drive to Neemrana, Check in to the hotel . explore the fort, the surrounding village, & the exceptional "Baoli" - the ancient stepwell. This medieval Fort lends itself naturally to memorable and romantic evenings. The Eastern-palace architecture is characterised by latticed wooden windows or perforated stone screens (jalis), cusped arches, gleaming pillars, squinches and various sized niches which contain stunning objects or. Overnight at hotel. After Breakfast we will drive to Jaipur, Jaipur is Better known as the "Pink City," drive straight to Jaipur and transfer to your hotel. 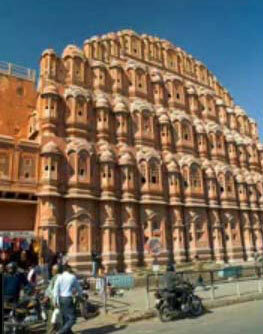 After lunch , we will visit to the fabulous Pink City, the Jaipur. First we will visit through the Johari Bazaar to the which is also known Palace of Winds. After that we will visit the different kinds of museums. We will pay a visit to the Govind Deoji Temple, housing the patron goddess of Jaipur. Evening free for shopping, etc. Over night at Hotel. After breakfast visits to Amber Fort, Jaigarh Fort, Nahargarh Fort and City Palace as well as Hawa Mahal. Jantar Mantar, Monkey Temple. In evening you go for dinner at Rajasthani ethnic resort with folk music. Stay overnight at hotel. Early in the morning after having breakfast, we will continue our visit to Fatehpur and Shekhawati. Here we will see so many wonderful things such as Cenotaphs, Step wells, beautifully painted Havelis and Old Streets. In the afternoon after having lunch, we will proceed for Bikaner. Here we will visit the Camel-breeding Farm just before Bikaner (open 3 - 5 pm). Finally we will take overnight stay at hotel in Bikaner. Continuing the visit of Bikaner, we will see the wonderful Junagarh Fort and Lalgarh Palace in Bikaner. Then will go on for Jaiselmer. We will take lunch on the way (packed lunch from Bikaner advised). We will also visit Kheechan, with its hords of cranes, on the way. After reaching Jaiselmer before sundown, we will try to catch a glimpse of the setting sun on the Golden Fort. Finally will take overnight stay at hotel in Jaiselmer. Continuing the visit of Jaiselmer, we will go to Jaiselmer Fort and Museum after taking breakfast. We will also see the Jain Temple and take a walk through the back streets to the Patwoh ki and Kothari Haveli. After having lunch, we will proceed to Kulcihera - a deserted surroundings, and then to Sam Sand Dunes. We will enjoy taking a Camel Ride and experiencing the haunting magic of the tale of Dhola Maru. And finally will take over night stay at Jaiselmer. After breakfast , We will drive to Khimsar . Check in the hotel , we will visit Royal Khimsar Fort, afternoon Jeep safari will be organized to visit local villages, wild life & sensational sun set on sand dunes. Return Hotel for overnight. Early morning, you will be driven to Pushkar. 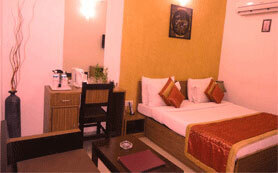 Check into a hotel as soon as you reach Pushkar. Later, you will be exploring the city of Pushkar. Pushkar is a very famous Hindu pilgrimage center. 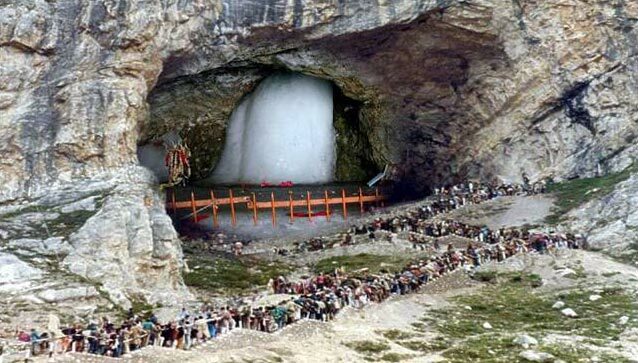 You will be visiting places like Pushkar Lake, Brahma Temple, Savitri Temple, Varah Temple, etc. Return to hotel for overnight stay at Pushkar. On the last day of this tour, we will return back to Delhi by car and board the flight / train for next destination.